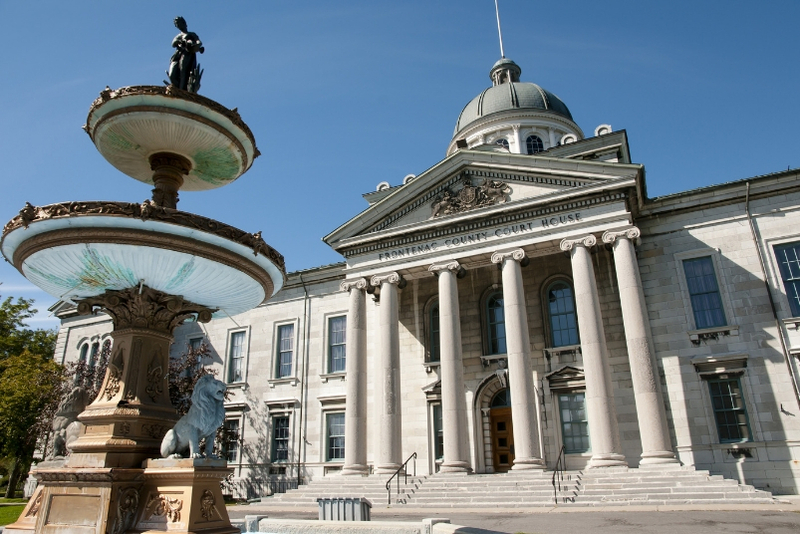 Notable among Sydenham Ward’s abundant historic residential and municipal buildings is the Frontenac County Court House – built in 1858 and rebuilt in 1874 – overlooking leafy, two-block long City Park and Lake Ontario. The imposing domed limestone structure is fronted by a columned portico adorned with the U.K. Royal Coat of Arms and features classical detailing, arched windows, landscaped grounds and a central stone fountain. The Frontenac County Court House is currently only available for exterior filming.